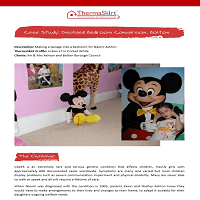 ThermaSkirt Case Study - Naomi Ashton's Disabled Bedroom Conversion, Bolton - DiscreteHeat Co. Ltd.
CDLK5 is an extremely rare and serious genetic condition that affects children, mainly girls with approximately 600 documented cases worldwide. Symptoms are many and varied but most children display problems such as severe communication impairment and physical disability. Many are never able to walk or speak and all will require a lifetime of care. 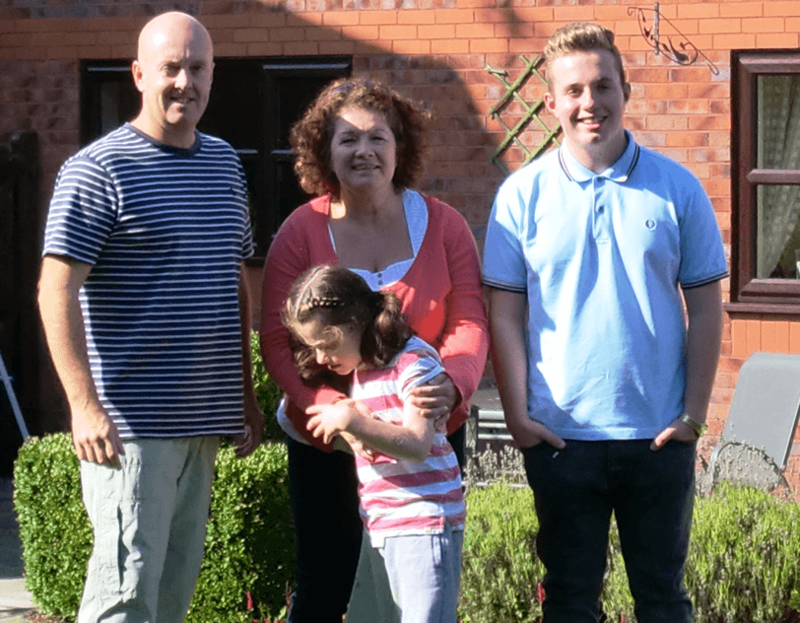 When Naomi was diagnosed with the condition in 2005, parents Kevin and Shelley Ashton knew they would have to make arrangements to their lives and changes to their home, to adapt it suitably for their daughters ongoing welfare needs. Remarkably, at 6 years old, Naomi began to toddle and then walk, which meant that the Ashton’s had to re-consider where best to locate Naomi’s bedroom and bathroom. They wanted her to have as full and active involvement in family life as possible, but without the risk of using the stairs, and so it was decided to convert part of the garage. "We thought straight away about making half the garage into Naomi’s living area, but space was still a factor. I didn’t want radiators as although she can walk reasonably steady unaided, I was worried about her stumbling onto it, or even worse holding onto its hot edge to maintain her balance. 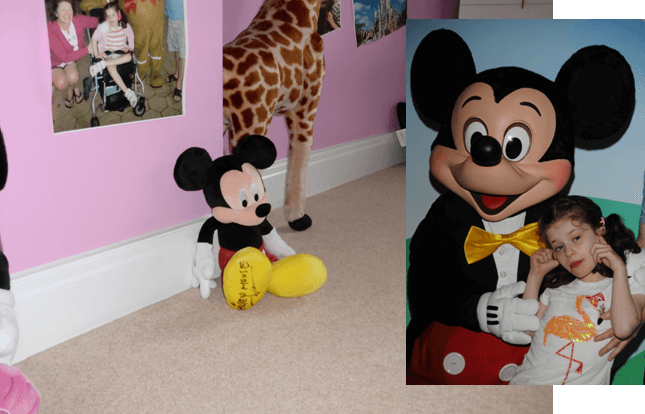 Digging the floor up for under floor heating was prohibitively expensive and even the over-floor types would have created a step from the main house to Naomi’s bedroom; and we wanted level access throughout for her." It was by Googling ‘radiator alternatives’ that the Ashton’s discovered ThermaSkirt. ThermaSkirt is a radiant heating panel, cleverly formed to replicate a conventional skirting board. By heating the room at low level from all sides, it provides an even comfortable heat like under floor, but with the controllability and response times of a radiator. Being ‘above ground’ it’s a simple retro-fit onto a conventional heating system. Not only does it free up wall space, allowing Naomi’s furniture to be positioned however she needs, it also operates at a lower flow temperature reducing running costs and eliminating the risk of injury even if she lay against it. "I liked the look of it, and it made decorating a lot easier than having radiators especially the ones with the bulky covers. Most importantly I can control the temperature very quickly which is good as Naomi doesn’t like being too cold and hates being too hot." As well as reducing injuries from falls and trips, its easy clean surface and lack of air movement means that it is especially good for asthma sufferers as it does not circulate dust and particles. The Ashton’s applied to Bolton Council for funding for their project including ThermaSkirt and were given a grant to help them undertake the extension. The Welfare officer from Bolton Council was intrigued by the ThermaSkirt solution and could see lots of other applications for the system in other assisted living projects he was involved in. With Naomi’s bedroom finished, The Ashton’s are looking at the rest of the radiators in the house and considering changing the whole downstairs. "It’s been an excellent solution for Naomi, and we have gone through 2 bad winters with it without a hitch. We are planning to do the rest of the house up a room at time, and ThermaSkirt is definitely first on the list."